There has been quite a lot of talk about cloud computing lately. 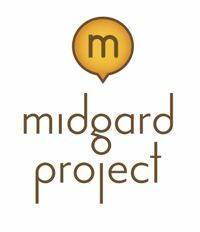 When we had the previous MidCOM3 coding sprint we discussed over beer how Midgard2 could fit into the cloud. As replication has been a core Midgard feature since the early days, that was the obvious angle to start looking from. Implemented this way it would be easy to add or subtract Midgard servers as needed. Each of them would be autonomous from application developer's perspective, but data replication would ensure each node would stay in sync with others. This would certainly be worth experimenting with. 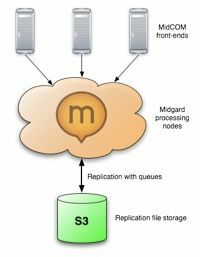 Only things needed would be easy EC2 images, queue handling with S3 buckets, and possibly remote routing support, though the latter wouldn't be needed for simpler services where each Midgard node could contain a copy of all data of the web service. 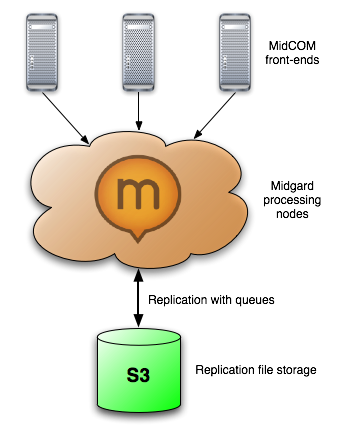 For faster replication of data between nodes, D-Bus update notices could be passed through a message queue service. 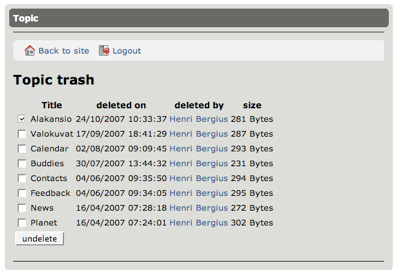 13 March 2008. 1 minute read.